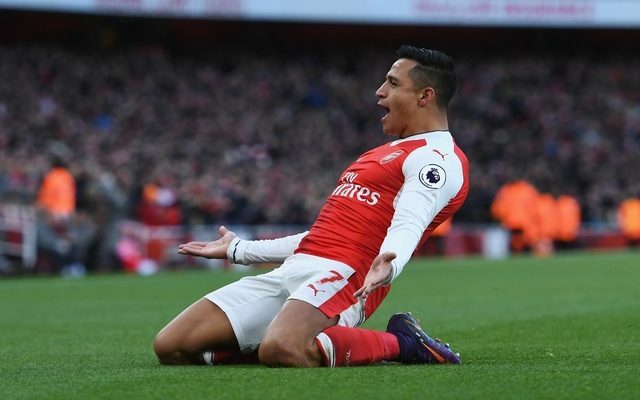 Arsenal got back to winning ways on Sunday as they secured a 3-1 win over Bournemouth at the Emirates to move to within three points of Premier League leaders Chelsea. Two goals from Alexis Sanchez and a header from Theo Walcott helped seal the win for the Gunners, who were under pressure to end a three-game winless streak. To their credit, Bournemouth probably deserved more but it was Arsene Wenger’s side who came out on top and will now hope to put together a winning run to further extend their impressive 19-game unbeaten run. The veteran shot-stopper pulled off a brilliant reaction save to deny Benik Afobe late on as he produced a solid display. His injury nightmare continues after pulling up after just 14 minutes and had to be replaced. Caught out a few times which will be a concern as he needs to get back to the level he initially showed when forming that dominant partnership with his fellow centre-half. Commanding display from the Frenchman as he marshalled the backline well and was a much more solid presence compared to Mustafi. Unfortunate on the penalty incident as it looked harsh, but did well defensively thereafter and offered a reliable option down the left flank throughout with an assist for Walcott’s goal. Grew into the game and produced a solid performance in the middle of the pitch to give Arsenal a foothold in the game and push them forward on the attack. Showed some good touches but wasn’t involved enough and needs to link up with Elneny to form a dominant pairing in the middle. Took his goal well and was a lively presence on the right. Arsenal need him full of fire and working hard on and off the ball to help set the tempo. Absent at times, but showed his class with some excellent link up play, particularly with Sanchez, while he also played a big part in the third goal. A positive performance from the England international as he started well and worked hard from a defensive perspective. Will hope to be more decisive in future. Made his own luck for the first goal to take advantage of the mistake and bagged a late second to seal the win. Energetic, dangerous and tireless as usual. Not his natural position at right back, but did his job without much of a fuss. Had the last 15 minutes or so on the pitch and did well in seeing out the win. Probably disappointed not to start but grabbed an assist and continues to push for a regular spot in the starting line-up.